Vanilla Bean and Bourbon infused short-dough is a thing of beauty. 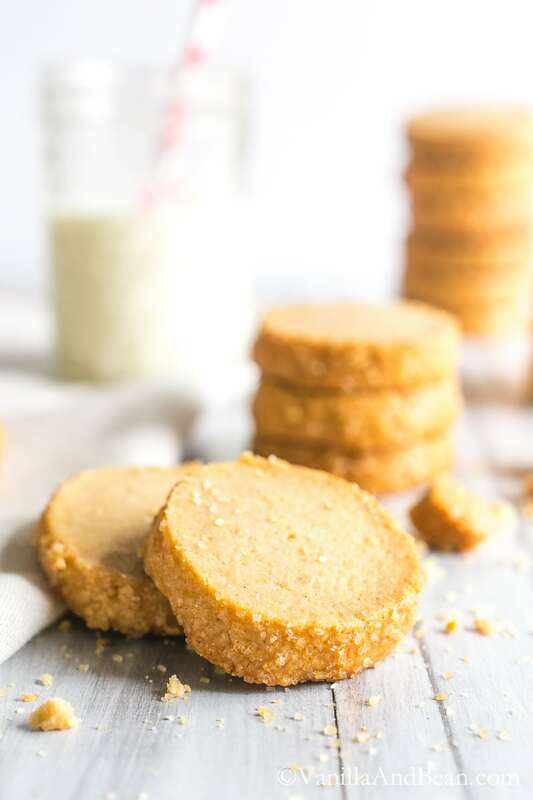 Try these delectable Bourbon Vanilla Bean Shortbread Cookies. Fun to make and to give! Hey! Hey, y’all! How’s your week going? It’s one week until Christmas. Are you ready? No pressure, just checkin’ in. I’m ready! Rob and I keep Christmas pretty simple. Years ago we started exchanging and giving experiences, a few gift cards and/or homemade fare for gifts. I find I remember an experience more than I do just about any tangible gift. One of my favorite gifts to give the women in my life is a spa experience. For the men, socks. I was gifted a pair of these several years ago. You’ll rarely see them off my feet through the coldest parts of the year. They’re so warm and loose; so they don’t cram up my toes. Just what I like. I can’t take snug socks. My dad loves his so much he wore a hole through the bottom and fixed them with duck tape. You know he’s from Texas, right? Just sayin’. Gifting this way seems to reduce time spent returning gifts. Reducing stress and time spent in crowded parking lots or long lines is a good thing. Especially this time of year with all the festivities and holiday preparations. If you’ve been following Vanilla And Bean, you know shortbread is a favorite cookie to gift during the holiday season. The reasons are listed with this shortbread recipe and shared again with my top of the list favorite, Dark Chocolate Cocoa Nib Shortbread Stars. Although this shortbread cookie is simple enough, there’s nothing simple about its flavor. Bourbon and vanilla bean shine in this demure cookie. Its simplicity draws me in. Whip these up in no time, roll em’ in a log and pop em’ in the fridge. They’re ready to cut and bake in two hours flat. You can also freeze them for up to two months. But they won’t last that long. So, I’ve got more to share with you. Rodelle Kitchen’s brand ambassadors got together for a little celebration of cookies! We’re celebrating 21 Days of Cookies giving you 21 different fabulous cookie recipes to choose from, or to drool over. 21 more reasons to bake this holiday season! You can find all the links at Rodelle Kitchen, right here. Wishing y’all a fabulous pre-holiday weekend full of fun and making great memories! A simple cookie with bold flavors. Bourbon and Vanilla Bean shine in this delightful cookie. They make a delicious homemade gift or keep them for yourself. Serve alone as a treat or as a side with ice cream. Make ahead and keep a log in the freezer for when you need a quick cookie on the ready! 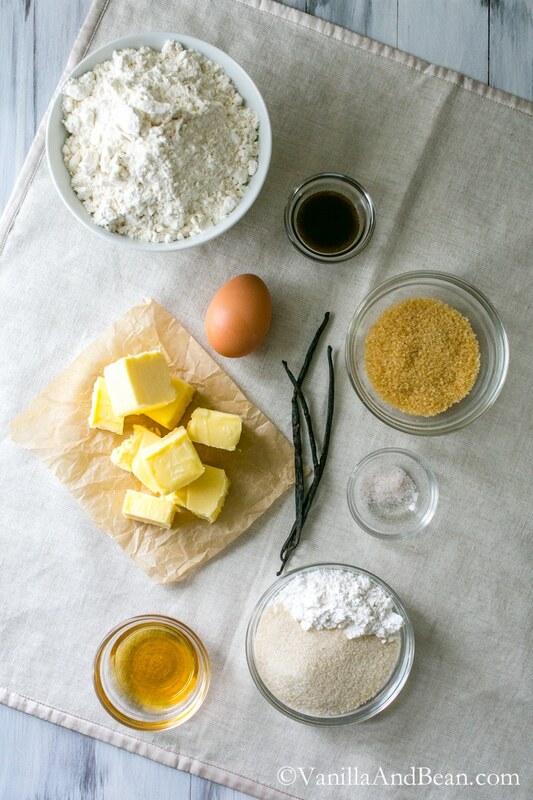 In the bowl of a stand mixer, add the butter, cane and confectioners sugar, sea salt and vanilla bean paste. Mix on medium for about 2 minutes or until smooth (not fluffy), stopping to scrape bowl at least once. Add the bourbon and vanilla extract and mix again on medium for about 30 seconds, or until incorporated. Scrape down bowl. Add the flour all at once, pulse to start, then mix on medium until the dough forms somewhat of a ball on the paddle and has pulled away from sides of the bowl. On a floured work surface, dump out dough and divide in half. Shape each clump into a log, 2" (5cm) thick, gently rolling and adding flour as needed so it wont stick to you or the work surface. If the log becomes hollow, condition the dough by pinching it closed and reroll into a log. Wrap each log in plastic wrap. Carefully place in refrigerator on a flat surface for at least two hours or up to two days. At this point the dough can be frozen for up to two months. Be sure to double wrap the logs if freezing. Remove the log(s) from the refrigerator, unwrap it and using a pastry brush, brush a thin layer of egg white all over the surface of the dough. Sprinkle the log with raw sugar, rolling it as needed to cover the surface areas. Line a sheet pan with parchment paper. Using a serrated knife, firmly cut the cookies 1/2" (1 1/4cm) thick. Place on sheet pan with at least 1" (2 1/2 cm) between cookies. Place back in the refrigerator for at least 20 minutes (do not skip this step or the cookies will spread). Preheat oven to 350F (180C). Bake cookies for 25-27 minutes or until they begin to turn golden. Transfer cookies to a cooling rack. Store in a covered container at room temperature for up to two weeks. *Vanilla Bean Paste imparts a rich vanilla experience, especially in these cookies. It's an ingredient worth investing in if you love to bake! Use it in place of vanilla extract or vanilla beans. Check out Rodelle’s 21 Day’s of Cookies! So much deliciousness to be shared! If you love it, please share with friends and family! So, I made these last night. I couldn’t find Bourbon (because it was New Year’s Day and the store was closed) and I couldn’t find vanilla paste (I’ll continue looking), but I baked these anyway just using lots of vanilla extract in place of the bourbon. These are the best shortbread cookies I’ve ever tasted! My family and visiting friend loves them. This will definitely be a go to recipe. I cant wait to try them with all the right ingredients. Thanks for sharing!!! Hi Sonya! 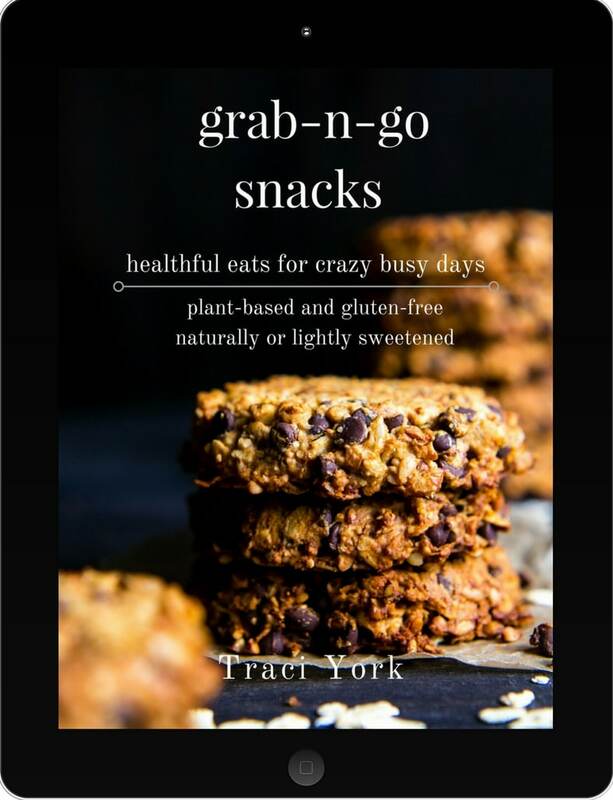 SO happy to hear of your success with these cookies! Thank you for coming back and leaving a note. Hooray! And your sub for bourbon and paste was spot on. Vanilla Paste can be hard to find. I receive mine from Rodelle . It’s a bit pricy, but it lasts for a long time and a little goes a long way. Is it possible to add more bourbon? I would like to do that to be able to taste it better. Hey Tammy! Thank you for your note… since I’ve not tested this recipe with additional bourbon, it’s hard to say how much additional bourbon the dough would be able to tolerate. If you do try adding more bourbon, perhaps start with an additional 2 tsp to one tablespoon. You may need to bake them a bit longer for them to dry out. Just watch them so they don’t get too dark. I hope this helps, and we’d love to know if you give it a try, and how they turn out. Confused about the amount of vanilla. Are you supposed to add 2 tsp vanilla paste AND 1 Tbs of vanilla extract? If so, the instructions of when to add are missing. Unfortunately, I am in the middle of the recipe so will have to make a guess. Hoping it’s paste or extract. Hi Windy! Thank you for your note. Add the extract with the bourbon. So yes, it’s 2 tsp of vanilla paste AND 1 TBS of vanilla extract. I hope this helps. 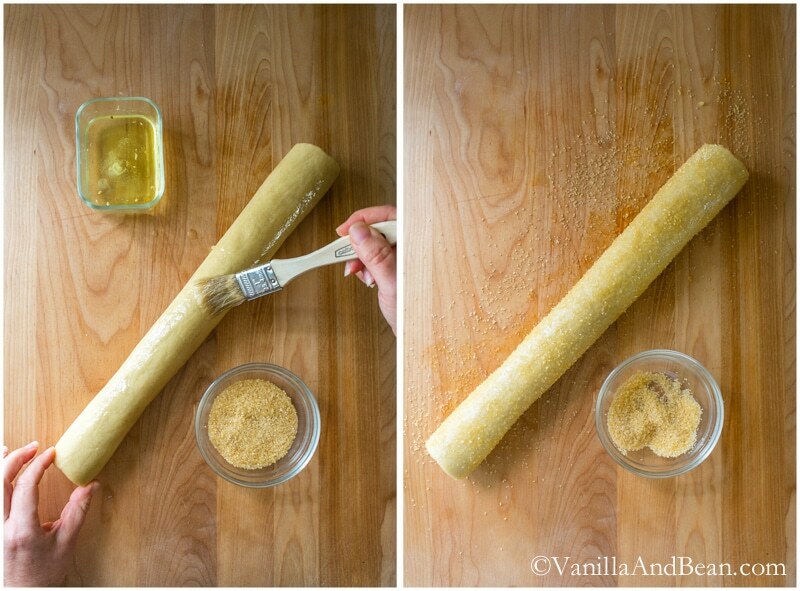 Can you please confirm the amount of vanilla bean to use? I do not have the paste that you talk about. 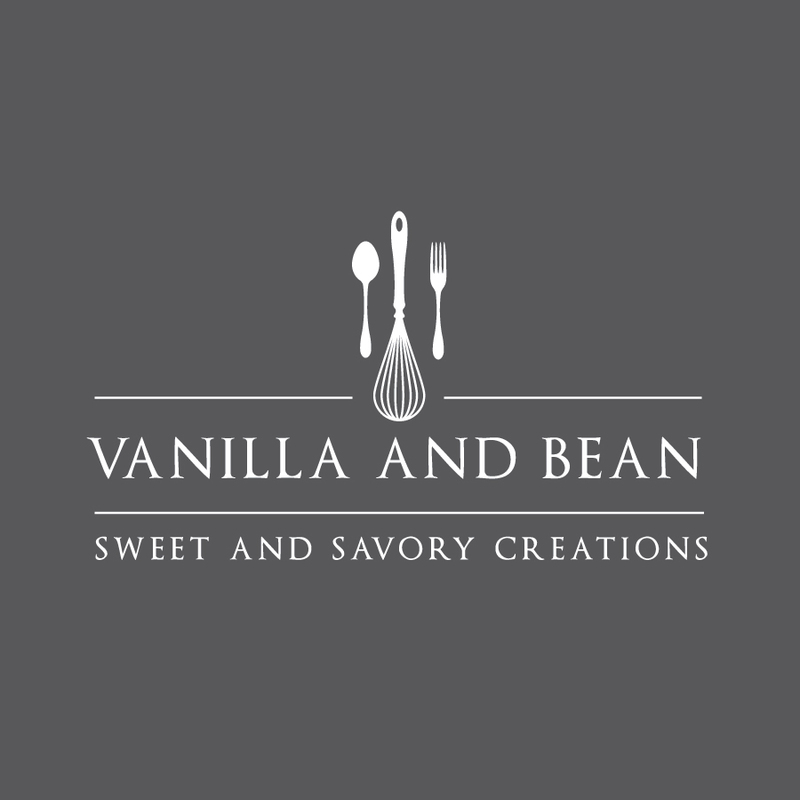 Recipe says 1 TBS then has the link for the past….is it 1 TBS of vanilla bean? I’m very excited to try these! Thank you!! Hi Tori! Thank you for your note! 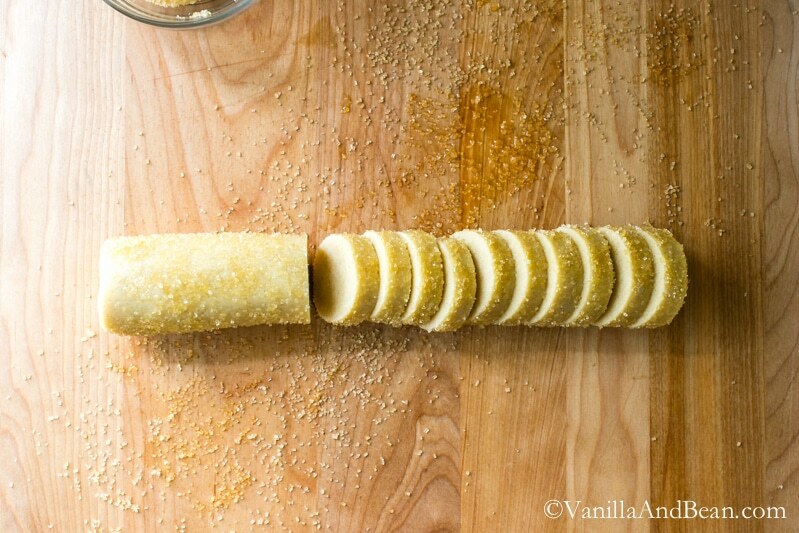 I just updated the recipe to reflect your question; use one vanilla bean scraped! Also I noticed my new recipe card didn’t transfer the amount of vanilla extract (1 Tbs) to use, so that is fixed as well. I hope you enjoy the cookies! They are among my favorite cookies ever! I’ve just come across these cookies Traci and not only is my mouth watering just looking at them, I’m frantically adding them to my ‘mustn’t forget’ list to bake up for next Christmas because sadly I didn’t find them in time for this year. Er..or more realistically I’ll just ignore ‘holiday food’ convention and bake them the next time I get a chance! Thanks for sharing and I hope your Christmas was as relaxing as you’d hoped! Totally ignore the ‘holiday food’ on this one Erika. I bake these year round, actually. For gifts, special occasions, to enjoy with ice cream (I cut them much thinner and bake for around 15-18 minutes) or just to nom on! They are so delightful! You’re welcome my dear! Enjoy! Yes, agree! 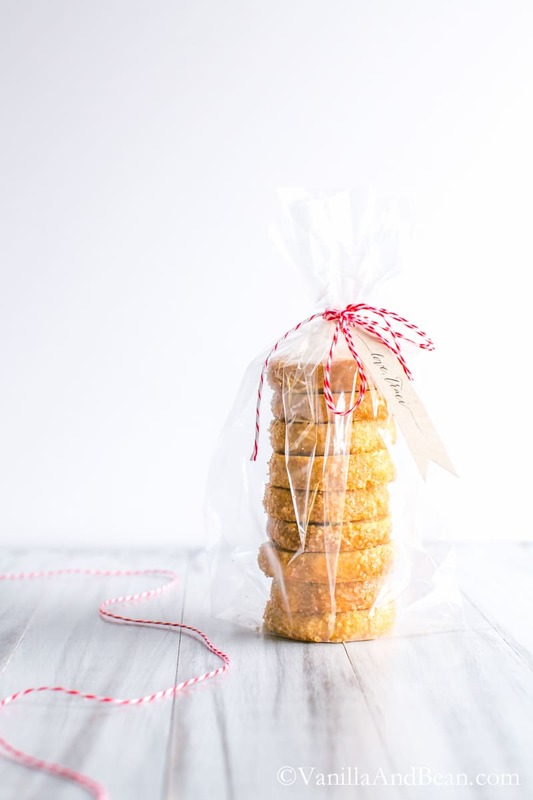 Shortbread cookies make such a classy gift! I’m all for having less and experiencing more. Love how you rolled these in sugar- those sparkles! Wishing you the most wonderful Christmas, Traci! I love these cookies….especially the sugary outside! I think I’d nibble my way around this cookie eating all the sugar first! As far as Christmas gifts….you know it’s a good gift when it is used over and over again. Good old duck tape will fix just about anything! Love your way of gift-gifting around the holidays! Shortbread is definitely a favorite of mine, too! These cookies look gorgeous! Pinned! Traci these are absolutely perfect! 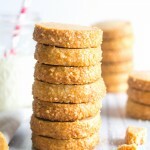 I love the simple shortbread with the deep rich flavors, I bet I could easily eat that whole stack! Agreed! Shortbread is way underrated.. That stack did get eaten! ;) Thank you Sam! I love any flavor of shortbread and these sound absolutely delicious! I could easily eat way too many. I love the raw sugar on them. It looks like ice crystals and dresses them up perfectly for this time of year! The. Perfect. Cookie. Happy Holidays, Traci!!! 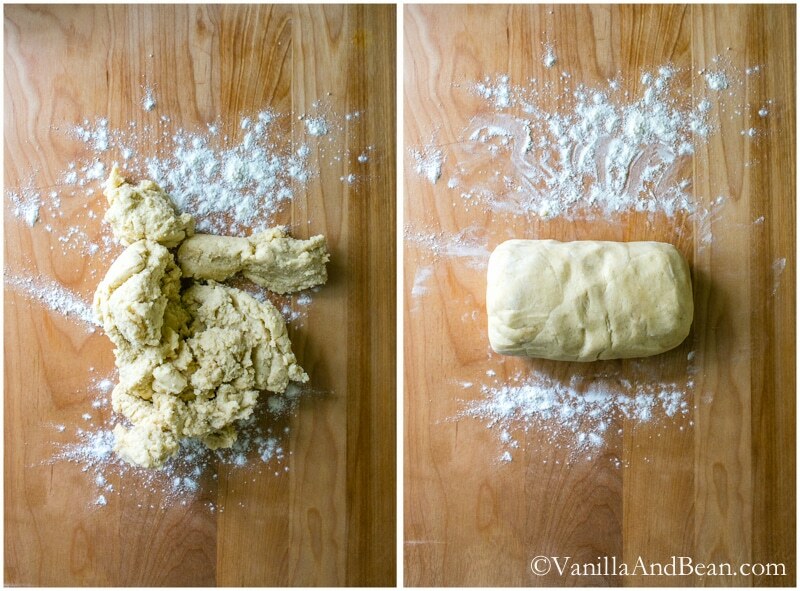 Bourbon infused buttery cookies? I say yes! And they’re so beautiful! I adore the last picture with the lovely wrapping… How tickled I’d be to receive that stack as a gift! I am with you on the shopping these days…I used to look so forward to braving the crowds and being in the center of that kind of energy – but there’s definitely been a shift. We too prefer giving and receiving experiences as gifts…Thanks for this lovely post and the chuckle I had thinking about your dad and his duck-taped socks! 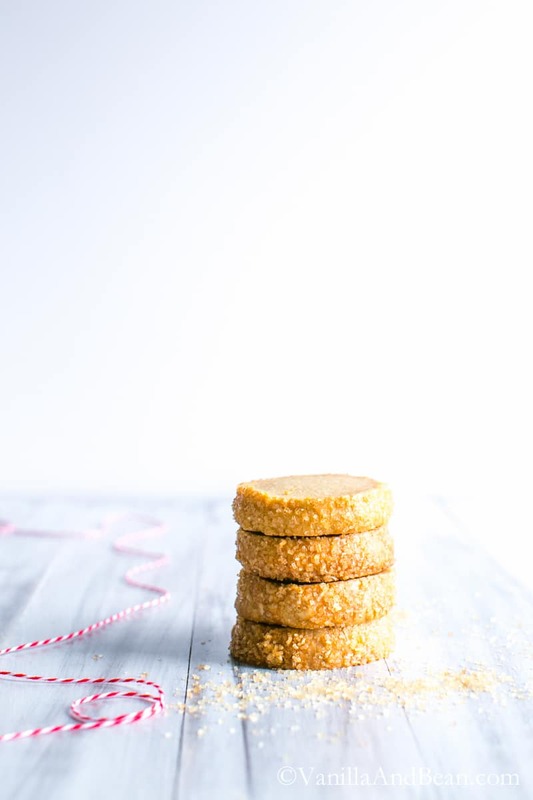 I love these cookies Traci, and why not?…they are booze infused buttery cookies, perfect. Your cookies just look perfectly sized and baked and wrapped. Pinning it everywhere. I completely agree with your about the experience, means so much than huge presents. Hubby always gave spa gifts and I adored it. Your pops sounds like a sweet funny man…My heart swells when it comes to parents, so special. Btw..cozy socks and flannels are a must. Happy Holidays to you and Rob my friend. A big YES to the peace and balance mantra! So tough when it is so busy around Christmas time, but I agree that it is important to not be stressed out leading up to the day – not a fun experience! Your low-key Christmas plans sound perfect – on the other hand, I am covering dessert for 25.. I love these slice and bake cookies, and the bourbon and vanilla flavors here! The sugar on the edges is so pretty. And that packaging is gorgeous! I am totally with you on giving experiences instead of stuff. We already have enough stuff, AND going to the mall in December has become a total nightmare. I love your ideas! Give a gift experience is a great idea, Traci – I think that would be fondly remembered – and a spa day who doesn’t love that! As for these super yummy cookies – I love the idea of bourbon and vanilla together – and I know you love to use bourbon in your cooking! Happy holidays to you and Rob! My week is going great Traci! And it just got a whole lot better with this cookie recipe! Wow! 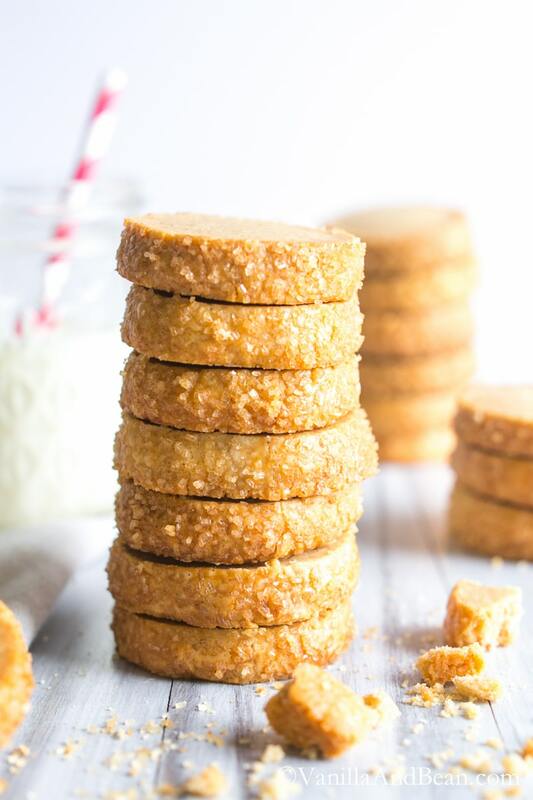 Shortbread is my all time favorite type of cookie! And the added bourbon…YES!! Hope your week is going well too. Enjoy your weekend. Bring on the cookies!! Another perfect batch, Traci! I love the sound of bourbon and vanilla together! Also, I think your gifting ideas are genius. I agree, experiences are much more meaningful than tangible things. Except for a nice pair of socks, lol! I’m the same way with these fleece pants that I have. I wear them every day in the winter because they’re so thick and warm. I really need to get another pair, haha! Thank you Sarah! Oh they pair so well together! I know, right? Who doesn’t need warm and cozy socks? They all wear out at some point… Fleece pants are the bessstt… I can’t seem to make a transition from my yoga pants : 0 ! Thank you for the reminder!